The Cape Meares Light is an inactive lighthouse on the coast of Oregon. It is located on Cape Meares just south of Tillamook Bay. It is open to the public. 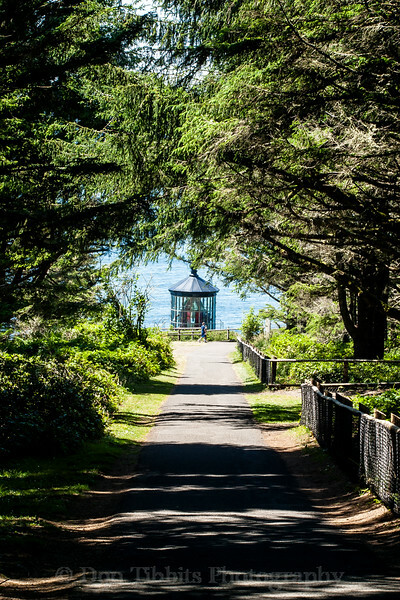 Built in 1890, Cape Meares Light served as the light station for Tillamook Bay. When it was built, the lighthouse complex included two keeper's houses, two oil houses, and two cisterns, and was connected to the light by a 1,000-foot (300 m) boardwalk. Later additions included an attached workroom in 1895 and a garage in 1934. The light itself was iron-plated, and due to its exposure to the elements, it required frequent repainting over the years. No foghorn was ever installed at Cape Meares. In 1934, the light received electricity. Now unnecessary, the oil houses were removed. In 1963, the lighthouse was deactivated and replaced by a newer tower. The following year, the Coast Guard made plans to demolish the light. However, due to public outcry, the plans fell through, and the Coast Guard turned the station over to Tillamook County.